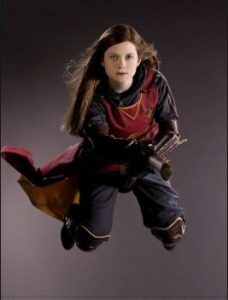 One of my first mistakes as a Potter Pundit was in the names chapter of Hidden Key to Harry Potter (2002) in which I asserted that Ginny Weasley’s first name was obviously an affectionate diminutive for ‘Virginia.’ The book wasn’t out for more than a few weeks before Rowling explained that Ginny’s given name at birth was ‘Ginevra,’ an archaic form of ‘Guinevere.’ Given the King Arthur elements if the Chamber of Secrets finale, that was a delightful bit of back story I added to the updates to Hidden Key (now How Harry Cast His Spell). And I thought that was all I would ever need to know about Ginny Weasley’s name. If you check out the ‘Ginny’ pages at The Harry Potter Lexicon, at Wikipedia, at Harry Potter Wiki, and at PotterMore, ‘Ginevra’ is what you get without much further explanation beyond ‘Guinevere.’ Unless you think it being the Italian word for the Swiss City ‘Geneva’ is a big deal. 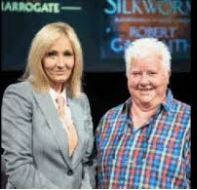 Val McDermid: After the success of the Harry Potter books, you could have turned to any genre you wanted to. You could have written transgender science fiction..
V: Sorry, I shouldn’t have given that away. When you told me that in confidence, I thought I’ll just …I’ll start a rumor. But you chose crime. Why did you choose crime? V: How did that love affair with crime start for you? JK: Well, actually I really didn’t. I’ve read hardly any fantasy…. Dirty secret. V: … and that makes it completely yours. And I wonder if that’s something you’re conscious of…whether you’re…I mean, because sometimes I read it very consciously and think, that’s a very clever trick, I’m going to remember how she did that. JK: Well, with whodunnits, I certainly do…that’s probably the genre where I have done that most. You notice things. You notice tics and tricks. In Ngaio Marsh, you’re never the murderer if you’ve got long thin fingers. She obviously had a thing about hands. And you’re always innocent if you’ve got pretty hands in Ngaio Marsh. You start rolling your eyes when you hear about someone’s long fingers. You think, “Well, it’s not them, that’s one suspect down…” Never failed me. 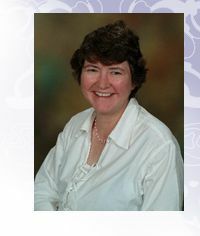 Christie who was someone who interested me a great deal because she was writing much of her career to outrun the tax man. Hence her incredibly patchy output. But she could shuffle those cards and fool you, couldn’t she, again and again and again. Sometimes very plausibly, sometimes not so plausibly. But she had that almost mathematical ability to fool you. And that’s something not many could do as well as she did it. Although the quality of writing I know was patchy. 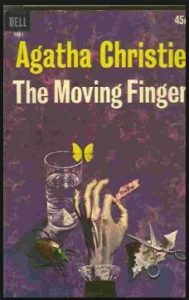 My favorite Christie is Moving Finger which is a Miss Marple, but narrated by a man and she does it rather well. V: It’s hard to pick a favorite of Christie. 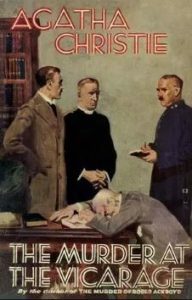 I cleave to the one that made me fall in love with her and ultimately with the crime genre, The Murder at the Vicarage. JK: Oh, God, that’s so good. V: What I love about The Murder at the Vicarage is the humor. JK: Yeah, she is. She’s very funny. V: …I think we pick up on that and we understand that you can use humor inside the crime format. So, Agatha Christie is a big deal to J. K. Rowling. 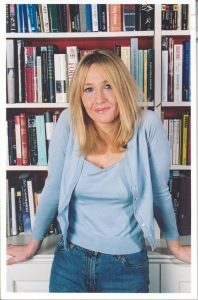 Hers were the first mysteries that Rowling read as a young person, she has read widely in the genre and still admires Christie, naming favorite books and immediately recognizing titles, and the Master’s “tics and tricks” are things she has studied in order to imitate. Which is to neglect the humor, a signature of Rowling’s better writing, that is a sharp shadow, almost a cameo of Austen and Christie. John Granger: You’re a citizen of the United Kingdom and you’re this noted mystery writer. 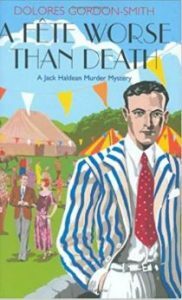 Your six Jack Haldean novels set in England in the years after World War I are, as Keith said, a throwback to the Golden Age of British Detection fiction. But tell us something about the stories – the detective stories – that you grew up reading. Who’s your favorite writer? Dolores Gordon-Smith: My favorite writer of all is Agatha Christie, if we’re talking about mysteries…. JG: …. 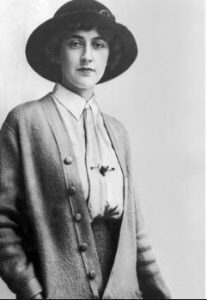 Agatha Christie with her eighty-some detective novels has sold over four billion books. People marvel that Rowling’s books have been translated into seventy languages. Agatha Christie’s books have been translated into more than a hundred languages. They must have some obscure South American indigenous tribe that’s reading And Then There Were None or something. No author other than God, Chairman Mao, and who else has outsold Agatha Christie? 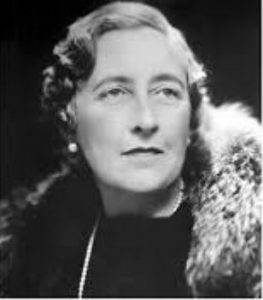 Maybe Enid Blyton because of her hundreds of books but Agatha Christie is the big kahuna. JG: What do you like about Agatha Christie, Dolores? Why should we care about this mystery writer? DGS: Well, on the one hand it does seem to be very odd, doesn’t it? That mysteries which are set in such a very, very specific time – England from the 1920s to around about the beginning of the ’60s – should have this fantastic universal appeal. But I think it’s because the stories are tricky, but they’re actually very simple to read which means, of course, you haven’t got any barriers to getting into them. And of course everybody, whether they’re from Mexico or Brazil or wherever, the Arctic Circle, can sympathize with the plight of somebody who trips over a dead body and what you do then because although the situations are sometimes a little bit theatrical, the emotions that the characters feel are actually very real. The reader is invited in to share the experience with them. It works extremely well. Obviously. JG: Yeah, yeah, that’s right. DGS: Otherwise… you don’t sell four billion books if you’re doing something wrong. JG: Imagine the size of the building that has four billion books. I mean, it’s incomprehensible. You mentioned, though, that there’s a formula to these books. I’ve read a couple of your books, A Fete Worse Than Death, Trouble Brewing, I’m in the middle of Mad About the Boy and I’m looking forward to A Hundred Thousand Dragons just because of the title. JG: They’re marvelously engaging and I recommend your books to readers who love well-drawn characters in a great mystery whodunnit. Keith and I begged you to come on the show though, not only because we’re fans but because you’re a serious Potter Pundit. You mentioned… if we’re talking about Agatha Christie here as your favorite writer, Joanne Rowling has never mentioned her as an influence. She’s talked about her… I’m talking about how she’s talked about her, but she’s never said that she read her books and loved her books. Do you think she’s read any of the Christie Poirot or Miss Marple novels? DGS: I’m absolutely certain she has. On the back cover of the adult UK edition of Goblet of Fire, because the books were published with two covers, one with the children’s covers and one with the adult covers, on the back cover of that, there’s a wonderful bookcase shot and, obviously, because I love looking at people’s bookcases, I looked at this in fairly close detail and I was delighted to see there were three Agatha Christie paperbacks. I recognized them immediately because I’ve got the same books. JG: She has to die. She has to die. DGS: Yes, but just let me see if you recognize this description: she’s sadistic, oppressive, she’s described as toad-like, she’s described as like a buddha, which… okay. But she’s squat, and she has a redheaded, very nervous daughter called Ginevra who she calls “Ginny.” Now, I think that’s wonderful. JG: What does she call her? Does she call Ginevra “Ginny”? DGS: She does call her “Ginny”, yes. JG: Oh, I love it. I love it. So, Dolores Umbridge is actually the mother of Ginevra Weasley. Too funny. DGS: Yeah. But think about these three books. The plots of all three of them turn on having someone pretend to be somebody else, which is exactly like Polyjuice Potion but with no magic. (1) Literary Allusion: I think our reflex when deciphering Dickensian crptonyms is to google the name, play with its sounds and kindred words, and look for the ways it mirrors or reflects on a story-character so tagged. I don’t think that will change as a starting point. What this kind of find means, though, is that we shouldn’t close off any of our interpretative searches for names until we’ve found — and it may not exist, I understand — the sparkling reference to a character in another book, poem, or play that Rowling loves. 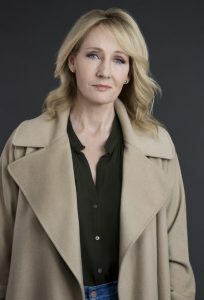 To keep the searches open ended testifies to a dynamic awareness that Rowling is writing about reading and her work is an intertextual game of Chutes and Ladders. 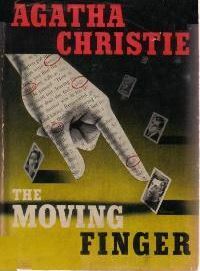 (2) The Moving Finger and The Fashion in Shrouds: Rowling told McDermid that Christie’s The Moving Finger was her favorite novel by this much-admired writer; Rowling readers will want to note that Finger’s plot bears a remarkable resemblance to that of Casual Vacancy, that is, anonymous letters being sent out to residents of a parochial village. 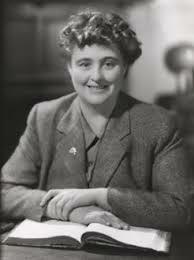 McDermid and Rowling both say they love Margery Allingham’s The Fashion in Shrouds, the plot of which includes a suicide being investigated and blackmail. Just sayin.’ Probably a Venetia, a Leda, even a Cormoran or a Switch and Shanker hiding in these books somewhere. 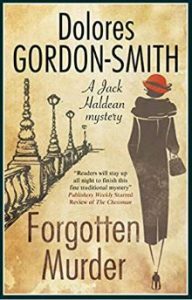 (3) Forgotten Murder: Dolores Gordon-Smith has a new book available, Forgotten Murder, at Amazon.co.uk (it won’t be released in the US until next March because it is coming to North America via trireme). Readers used to line up to purchase their “Christie for Christmas;” I can strongly recommend you pick up a “Haldean for the Holidays” — and start at the first, A Fete Worse than Death. You’ll appreciate the series much more, and, if you get right on it, you can have read the first nine Haldean detective-thrillers before that trireme reaches North America. As always, let me know what you think in the comment boxes below! Thanks for this! Having long enjoyed various dramatizations, I have, in the last few years, begun catching up on the Christie stories themselves (not least thanks to superbly-read unabridged audiobooks) and was also struck by the wealth and variety and fineness of her sense of humour (which is something characteristic of Sayers and Allingham as well – I’ve read/heard too little Marsh so far to have a firm sense, there). Delightful too, to read JKR saying, “I think that the Harry Potter books are really whodunnits in disguise” – as I had much that impression on first reading them – but, as with Sayers, Allingham, and Christie, whodunnits you can enjoy rereading for their literary qualities even when you remember who. Intriguing. The Christie novel that has come to my mind several times in relationship to Fantastic Beasts is “The Mysterious Mr. Quin.” Ms. Christie and I are agreed that this was her best work, but that may be because I’m a theologian, and Harley Quin is the only serious attempt I’ve ever seen at personalizing the Holy Spirit. Why does Fantastic Beasts remind me of Harley Quin? It first struck me that Newt was the same sort of person as the Mr. Satterthwaite who appears in “The Mysterious Mr. Quin.” Mr. Satterthwaite is diffident, observant, asking nothing of life but that he be able to see the strange creatures called human and learn to understand them a bit. Newt is like that, only his strange creatures are “beasts”, even when they’re human, like Credence and Nagini. But then it struck me that Newt also bears a certain resemblance to Mr. Quin himself: he is a catalyst. He does not come onto the scene with a personal sense of mission or a driving goal that he spends the rest of the movie trying to attain; he just wanders on, as part of his unassuming life, and the world reacts. I have no idea if J. K. Rowling ever read “The Mysterious Mr. Quin” – it is not one of Christie’s more commonly read books – or, if she did, if she set out to create a character who would represent both the action of the Holy Spirit on people and the diffident, observant protagonist, blended together to make one superb catalyst for people. But that is what Newt is. He walks into a bank and Jacob’s life changes forever. He gets arrested by Tina and Tina starts on a journey of love and adventure that she never intended. He tries to befriend a tortured young wizard/beast, and Graves is exposed and imprisoned. Dumbledore asks him to “act against Grindelwald,” on his behalf, and Newt stumbles through a series of adventures, only to bring back the one thing that may make it possible for Dumbledore to take his own action against Grindelwald. I wonder if the “salamander/newt” which you say represents the actual gold stone into which alchemists turn base metal has catalytic properties? Does it turn whatever it touches into gold? I love the Moving Finger link (as well as the Ginny one) – that’ll be on my Xmas reading list! As a teenager, I was once writing my diary at a bus stop in Borneo and the man next to me asked to borrow my pen, and wrote that on the fly-leaf of my diary (and I’ve been fond of it ever since). Great article about the joys of Fitzgerald’s unfaithful translation below – I didn’t know that he had found the Persian text in the Bodleian library in Oxford! Being a fan of A. Christie, in addition to Harry Potter, I read Appointment with Death not so long ago and immediately found the connection you mention, although I find Ginny Weasley a lot more likeable character than Genivra (aka Jinny with a J) Boynton, and Mrs Weasley is mercifully no Mrs Boynton. There are more similarities in names to be found, e.g. in Christie’s A Pocketful of Rye, there is a character called Percival, who is not unlike Percy Weasley, and an old Mrs Ramsbottom, who is quite a character, slightly reminding one of Mrs Longbottom. These are not the only ones, but I can’t remember the others now. Thank you for sending your insights around to all Harry Potter fans. In Chamber of Secrets, our hero literally descends into an ancient, hidden underworld, the subconscious, the place of the Shadow and the reptilian brain. They even have to enter through the bathroom-nice touch!. In that dark place, a dreadful serpent holds an innocent Virgin(ia) prisoner, her life ebbing away. If she is to live, the Hero must kill the monster, whose unreasoning malevolence seeks only destruction. The Hero sacrifices himself, not out of love for the damsel, but because LOVE is the foundation of his identity and the thing he wants most. I imagined Ginny as a variant of Virginia, too. It works perfectly, and you don’t have to read long to realize that nothing important in these stories is not only what it seems. It’s a sure bet that even if Rowling was giving a nod to Agatha Christie, none of her main characters got their names accidentally. When I learned that Ginny was Ginerva, not Virginia, I was surprised, but realized it was better in some ways, because unlike the feckless virgin, she isn’t a victim. Even though Ginny was naïve and gullible, she had no malice. She had agency and like Guinevere, she bears some responsibility for her own actions. That works better; it gave her potential. The women in this story are powerful, and have their own work to do. Ms. Rowling has given us such a brilliant interpretation of The Hero’s Journey! Look how well it works as a simple story, as an allegory, and as a nuanced psychological and spiritual drama, not only for Harry, but for all the characters playing out their own hero’s journey in the context of their own roles. This is about US and it’s a journey we all take. Whether we find ourselves in the role of The Wise Old Man, the Sidekick, the Smart Friend, the Double Agent who walks between two fires, the Bully, the Fierce Mother, the Kindly Friend, the Protector, the wounded teacher, the Prodigal Son, the Arrogant Elitists, the humble House Elves, or any of the marginalized and abused targets of injustice: EVERYONE is flawed, and EVERYONE gets to choose. And while we see them stumble and blunder, those whose hearts are turned toward love and justice learn from their mistakes and succeed at more and more complicated challenges as they grow wiser and more powerful. Those who crave only power cannot master the deepest magics; they do not learn, and are destroyed. Here is the thing that I love best about the Harry Potter stories: Harry is a reluctant hero; but he has no choice. He must confront the evil in his soul, face fearsome challenges and overcome. He wins, but not once without help, or without paying a price. Against all odds, kindness changes things, help always comes, love wins, and sacrifices made on behalf of what is right live on in memory and effect, and make love larger. The strong connection between Rowling – Christie is something I’ve sensed long ago (besides the fact that I became a fan of both around the same time. Like, I’ve devoured almost the entire 80+ books by the Queen of Crime). I mean, and pardon for stating the salient, both are women, English, and among the most best-selling authors in history. The similarity touches on the personal level: both had a troubled first marriage, and ran away from it. Before leaping into fame, Christie worked as nurse, and Jo as a secretary with Amnesty International. 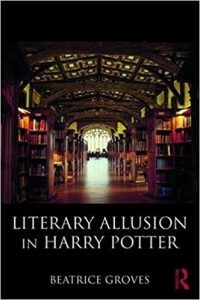 The connection extends to the literary level: both their books are formulaic to a degree (Harry with the Drusleys at the beginning of each book. The train journey back… Poirot receiving the case at his office at the beginning of many of the stories. The denounement at the end…). Also, the books have a detectable nostalgic stance concerning Britain, as well as a conservative strain (strong, dashing female characters yet who never acts like males. Marriage as the natural conclusion and perpetuation of an amourous relationship). And despite the fantastic plots, the two authors have a knack for realistic, fluid dialogue. One has to even wonder if reading The Labours of Hercules, where the importance of studying the Classics is stressed, didn’t inspire young Jo to do exactly that at university, and, as Poirot did in that book, to mimic myths and legends in her own writing–the whole symbolism thing. No to mention the nominal semblance of their protagonists: Hercule Poirot – Harry Potter!